Looks ok - would you not be better off putting in organic waste instead of black bags etc? That's what I thought - surely you show what CAN be composted? Also just a personal thing most likely but could you rotate the compost text 90 degrees so it's top and bottom. I had to tilt my head to read it and well I didn't like that with the amount of text it has lol. 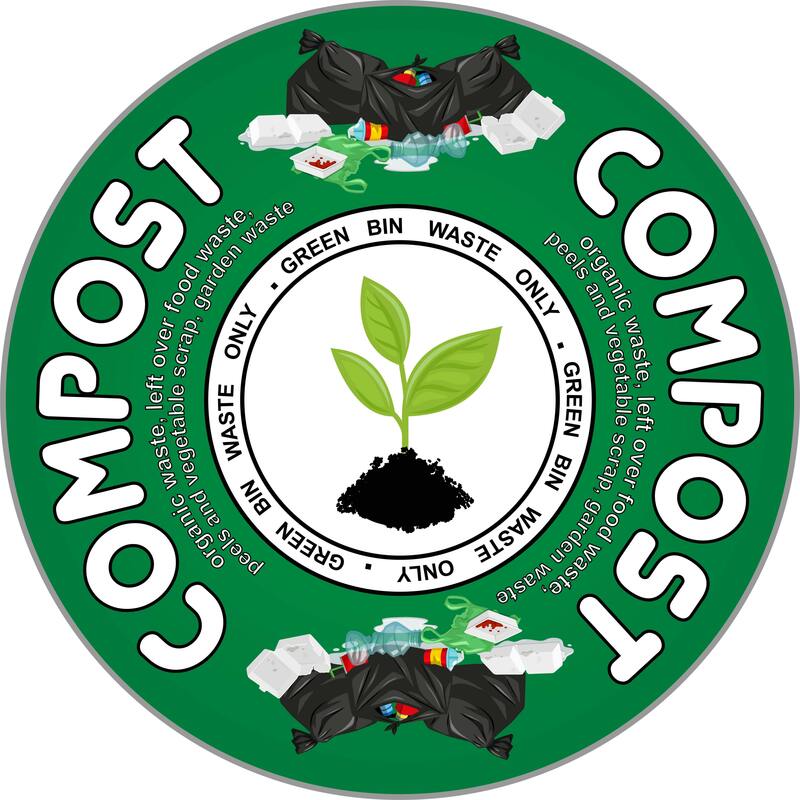 Agree with the above - if it's to promote composting it should show what can be composted. But does it need the images? If this is going to be stickers or on flyers or whatever these might be a bit tiddly.